Through Security Connection, a division of Electrical Connection, Inc., you can have security system monitoring in Simsbury, CT installed for your business that will protect the facilities 24 hours a day. 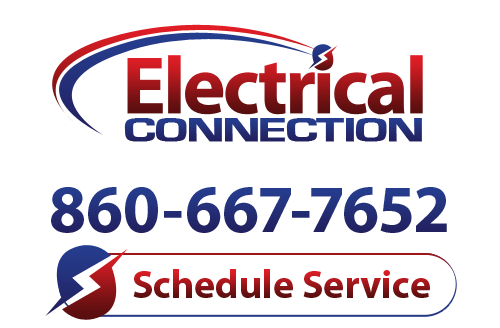 We have a team of licensed electricians to handle all the work, and they are on-call at all times, day and night, to provide any repair services you may need to keep your security system working to safeguard your business. Monitored alarm systems are a way to protect a business even when there is no one on the premises: instead of relying on a closed-circuit TV system and alarms, a monitored system is connected to an outside service that takes care of overseeing activity 24/7, 365 days a year. The monitoring service can contact police or the fire department whenever any suspicious activity occurs, with response time that measured in mere minutes. One of the main advantages of having a monitored system, as opposed to a local activated system, is that it cannot be disarmed since it is linked to an outside service. And this works for a variety of systems, not only to detect break-ins. Fire alarms that go off will automatically contact the monitoring service, which will then handle contacting the Fire Department, even if no one is in the building at the time. Having a monitored security system installed for a business can also lower your insurance. In some cases, your company could save as much as 20% off insurance costs per year thanks to the defenses from an excellent monitored system. Finally, a 24-hour monitoring system, whether it controls security alarms, fire alarms, or security lighting, gives you the important benefit of peace of mind. You’ll know that your business property is secure under the watchful monitoring system at all times. Anything that can ease the stress of running a business is a worthwhile investment. To set up security system monitoring in Simsbury, CT, put a call through to Security Connection, a division of Electrical Connection, Inc., today. We will find the right security system to defend your valuable business. Contact us today to schedule your next security system monitoring for your business.